From Level 20 onward in Last Day on Earth, you’re going to find yourself needing Leather quite often. Some items that will require leather to craft include higher level clothing and various weapons such as the cleaver. Thankfully, Leather is super easy to collect and craft. Unfortunately, you wont find leather in any drops in the current version of the game. I haven’t come across any anyway. You’ll need to craft it yourself. Wolves: Killing wolves is relatively easy, they sit at 40 HP so can die to 4 hits with a spear. Wolves drop raw animal hide as well as raw meat. Deer: You’ll come across a lot of deer in your time playing Last Day on Earth. They are most commonly indicated on your minimap as a yellow icon. They will run away when you approach them. Either used a range weapon such as a gun, or sneak up to them by pressing the sneak bottom in the corner of your screen and attack them. It should be noted that doing sneak attacks also works on wolves and Zombies, and does double the amount of damage! When you have a good amount of hide, head back to base and build/use your tanning rack. Each piece of Leather takes 4 minutes to craft, and you’ll receive one piece of leather for every piece of raw animal hide! 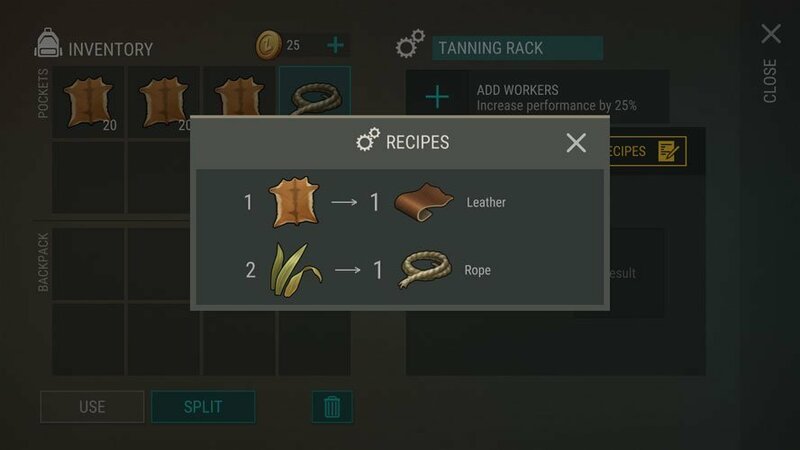 In a tanning rack, you can also craft Rope in Last Day on Earth using Plant Fibers. 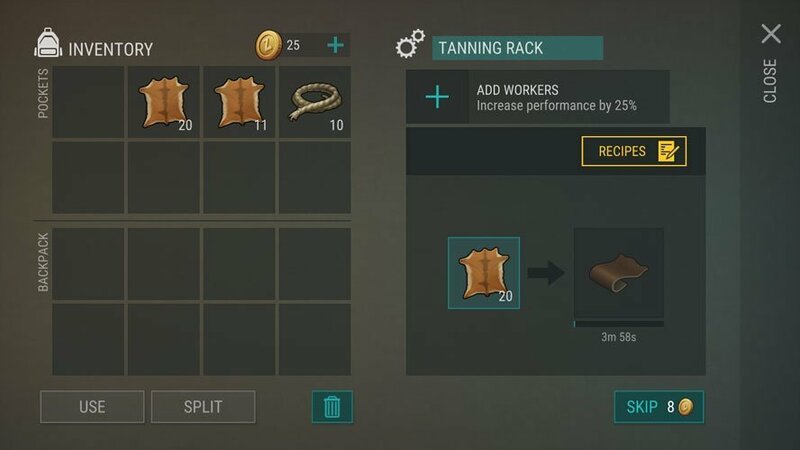 You are able to have two tanning racks on your base. Sneak attacks do tripple damage, not double. What is the best biome for farming leather?